Randy photographed my wedding on June 3rd. He seemed to always be in the right place at the right time. After getting the pictures back in less than a week, we couldn't believe some of the shots he got. He seemed to move around from one area to another without anyone really noticing him. Randy always kept himself out of the spotlight while ensuring that he did everything he can to help create memories for me and my bride. He was always very easy to deal with while we were planning the wedding, and has been a breeze to talk to afterwards when we've had a couple of questions about some of the pictures he took. I would absolutely recommend Randy for any event you'd want photographed. He is great! I hired him for my sisters wedding this past Saturday and the pictures turned out exactly how she wanted! Awesome quality. I will be using his services for my wedding also! For our wedding in July of 2016, we had the pleasure of working with Mandy & Randy. Sarah heard about the company from a friend via Facebook. It had been very difficult to find a videographer and we had been looking for quite some time. 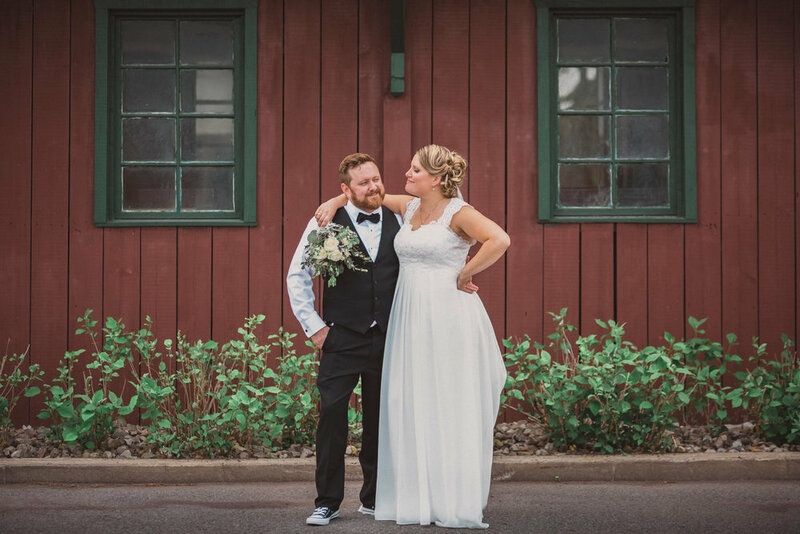 We had originally thought that all the “good ones” would have been booked by the time we finally found Mandy & Randy, but we turned out to be very pleasantly surprised. We met with Randy a few times before the big day. He was also very easy to get a hold of via text or email at any time. Randy was very open to understanding exactly what we were looking for and for finding a way to incorporate our ideas, such as the use of a drone. All the while, he also allowed for his own creative spin on things. He was very clear to explain how the (very reasonable!) cost was broken down, how the day would work and simply asked for our schedule and told us that he and his team would do the rest. And indeed they did! We barely knew they were there on our wedding day (however we did take a moment to acknowledge how awesome the drone was!). They were very subtle, in the background for most of the time and did not get in anybody’s way. We remember thinking if they were able to get enough footage as we had not seen them often. They definitely proved us wrong! The video was ready as soon as we returned from our honeymoon. The quality of the finished “highlight” video was absolutely perfect. We feel that with the time they put into it and the creativity that was demonstrated, they truly capture the essence of our special day. Randy also provided the raw footage for us via an email link, which made all the footage easy to share with family and friends who were not able to make it. Overall, we highly recommend Randy and his team’s services. They were professional throughout the entire process and produce excellent, high quality work. It would be a pleasure to work with them again. Randy is absolutely amazing! My husband and I hired him for a family photo session outdoors and we were extremely happy with the photos. If you are looking for someone who is professional, a pleasure to work with, and who will deliver quality photos in lightening speed, go with him. I will be choosing Mandy & Randy for future photo sessions. Randy and his team spent the entire day by our sides and I do not have enough words to describe the amazing job he was able to do for us. It was our best decision! Amazing pictures taken! He went beyond simply taking great photos, he helped plan everything with me morning t’ill night! Thank you Mandy & Randy! I would like to thank Mandy & Randy for the amazing service! They were very organized, time-oriented, and professional. I was skeptical about wedding photos because of the awkward poses photographers sometimes ask you to do. We met with him several times prior to discuss what our vision was, and he made us feel very comfortable. He emphasized it being our moment, and our day - and did an amazing job at capturing all of our special moments. I highly recommend anyone reviewing this page, to use their service. You can't go wrong! We are very pleased with the professionalism and talent Randy showed during our wedding. He managed to capture every moment. I heard nothing but good things from all our guests. We would recommend him with no reservation. Mandy & Randy are amazing photographers. Their work is top notch, and their customer service is unbeatable. They always answer the phone. You can always email them and they reply immediately. And the photos are delivered in just a few days. I recommend them to everyone! My husband and I hired him for a cake smash to celebrate our sons first birthday. The pictures are adorable. Randy was great! Really professional, friendly, and went above and beyond to be sure we were satisfied with the work. A great photographer for all sorts of occasions! Fantastic work! Randy always manages to make people look amazing. I'm extremely pleased with his creativity, professionalism and the visually stunning results! Thank you very much Randy for our beautiful wedding photos. I was very impressed and surprised on how you managed to catch people's expressions or certain moments and certain movements you would not normally see. I can say no photo is boring. We are also very happy you managed to photograph everyone from the wedding even in the reception room and dancing, as I really wanted to have the memories with the invites. I remember also at the photo session time we were mainly concerned to have the group photos and we somehow got pressed by time, but you took care to also take amazing photos of just the two of us. I was very curious about the photo we took in the dark room and I saw the light and curtains against a dark room turned out so beautiful. We were so emotional that day and didn't have time to talk that much, so we would like to take this opportunity to thank you for capturing moments of our unforgettable day and for your friendly presence. I could not have chosen a better photographer for our family pictures! Randy was amazing! Not only did everyone have a great time taking pictures but he also was able to motivate my toddler - job very well done :) All future photos will be taken with Randy, no questions asked. He is professional and very enthusiastic about getting the perfect shot. Our family were absolutely thrilled with the results and we cannot wait for our next shoot. Thanks Randy! I strongly believe Mandy & Randy did a wonderful job at my daughter's wedding. Well done! Randy was amazing to work with. He went out of his way to do extra, and gave us a great product in return. If you need amazing photo's done, contact him. My wife and I hired him for portraits and our wedding. He’s the best guy with a camera in Montreal right now. Randy, I don’t even know where to start I am overwhelmed when I see my wedding pictures. Every small, happy, emotional and important moment was captured. This was the best day of our lives and we get to go back to it and remember how incredible it was because of you! We are so grateful to have chosen you, you know they say the pictures are the one thing you should spend your money on! You stayed professional and great to work with even through us running around, not making it to the picture spot we chose and you improvised and I couldn’t have imagine a better spot! It ended up being so us! Not only that but when the entire wedding was behind and we didn’t get all the pictures we wanted you didn’t hesitate to stay longer, you weren’t kidding when you said the day was for us! So thank you a million times! We would like to thank Mandy & Randy for their professionalism while shooting our wedding pictures. Hard to keep focus when one gets attacked by mosquitoes! We enjoyed spending time with them during this special day. The pictures are perfect and we could not be more pleased. Thank you so much and see you at are next event!